A couple of months ago, Google sent email notifications via Google Search Console to site owners that have forms on web pages over HTTP. 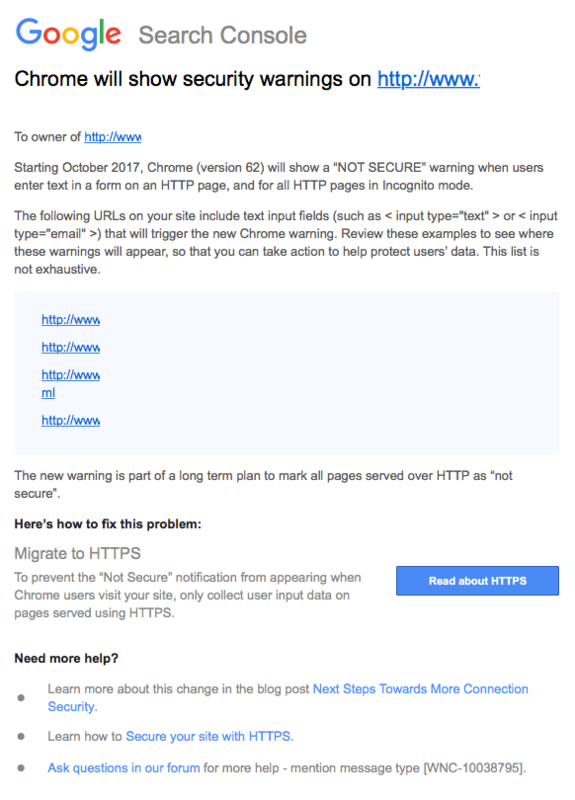 These pages will be marked as not secure in Chrome 62 starting in October 2017. This is not a new notification. Google warned us of this a few months ago. For more advise or to arrange for a quotation to fix the issue you can contact us using our Contact Form or call 0151 528 2118 or 07725 078 035.